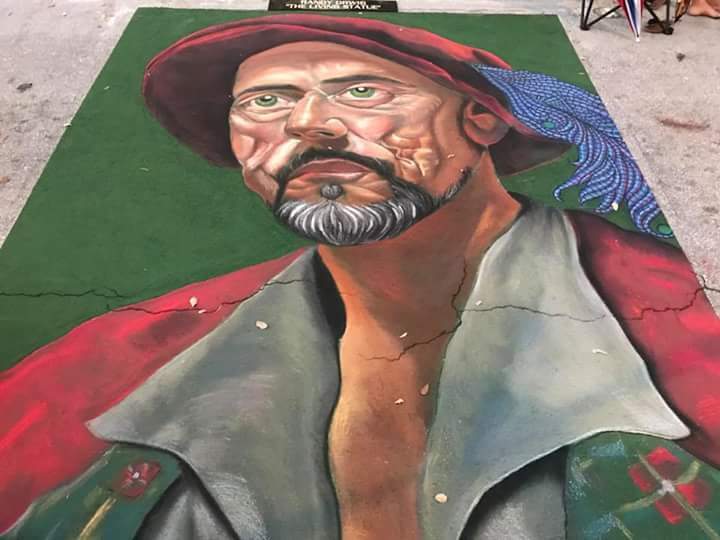 Genesis has devoted her life to the Arts as a freelance artist and as an art educator and was a lifelong spectator to the Lake Worth Street Painting Festival in her hometown of Lake Worth, Florida since she was a child. Her first Chalk Art was as a Junior at A.W. Dreyfoos School of the Arts at the very same festival she loved attending. What started as a passionate and joyous avocation throughout the years since 2005, grew into a lifestyle she can’t get enough of.